ex situ de anfibios en el contexto de planes integrados de conservación de anfibios. El equipo de instructores del Arca de Anfibios consiste en profesionales experimentados de zoológicos, académicos y privados. Utilizamos instructores locales y regionales calificados que instruyen en su idioma nativo en la medida de lo posible. Todos los instructores ponen a disposición sus servicios sin ningún costo para el Arca de Anfibios o los participantes del curso. Estamos muy agradecidos con su valiosa contribución para ayudar a promover la conservación de anfibios a través de su rol como instructores y mentores. Proporcionar las habilidades técnicas necesarias para el manejo a largo plazo de las poblaciones ex situ de anfibios, desde la selección de especies hasta reintroducción, con un enfoque en manejo, salud, bioseguridad y manejo de poblaciones. 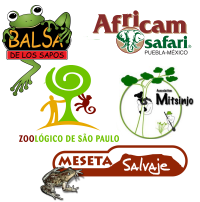 Crear una red de trabajo para los profesionales de los países/áreas/regiones del área de distribución de las especies a fin de mejorar el trabajo conjunto y hacerse cargo de la conservación de sus especies locales. Estimular el interés en la conservación de anfibios en las diferentes regiones. Proporcionar orientación sobre el desarrollo de planes de conservación regionales y estrategias para la colaboración con profesionales de conservación in situ y socios municipales en la región. Nuestros cursos son armados caso por caso, diseñados para proveer las habilidades necesarias suministradas al nivel adecuado para los participantes. Nos guiamos por encuestas previas a los talleres y también con colaboración cercana con los organizadores locales para proveer estos servicios y hacer los cursos lo mas útil posible. 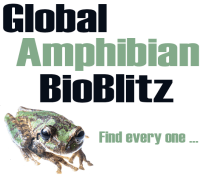 Are you considering an amphibian husbandry workshop? Consider this: Workshops demand a great deal of time and resources to plan and execute. It is important to clearly identify the goals and objectives prior to planning, fundraising and execution. The following questions will help guide you in planning an amphibian conservation workshop. Is there a need for amphibian conservation training in the region and why? Are there species in imminent danger of extinction or otherwise assessed by field experts for ex situ actions including breeding, research, supplementation or mass production. Who are the participants/stakeholders? Are they willing and available to participate? Will the participants be able to put this training to practical use in the time frame needed to be effective? Do funding and other requisite resources exist to initiate new captive programs after the training? Is there a central location to hold this workshop? Are the following facilities available for at least a 5-day time span? How many local instructors can we identify and at what cost? Costs for imported instructors (travel, lodging, food)? Supplies including glass tanks, plumbing accessories, enclosure parts, pumps, etc. Have we considered costs for administrative time for grant writing and fundraising? Initiation: Students receive a registration form (includes specific questions regarding their expectations and goals along with current level of activity in regards to amphibians). Financial aid information, when applicable is also attached. Students are offered the opportunity to share their own work during the course and if interested, they are requested to submit an abstract. Links to online tutorials may also be included to registrants via a password. Library of relevant publications or methodological documents. AArk contacts each student in order to assess on his or her progress and address any additional questions or issues. AArk creates a mailing list including all students and instructors to facilitate group communication beyond the workshop. For more information and sample worksheets please download the complete AArk Training Course Prospectus.